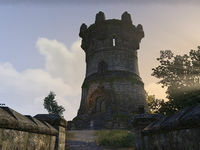 Farwatch Tower is a fortification on the western coast of Glenumbra, north of Daggerfall. 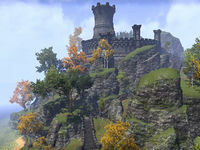 The Aldmeri Dominion have sailed up the coast under the cover of a fog bank and taken control of the tower. 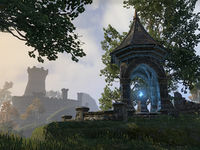 Farwatch Wayshrine ( Leveled XP) is located on the higher trail southeast of the tower, near the Dominion camp.